When the alarmist community seeks to push a new argument or messaging strategy in the global warming debate, they first have one of their pseudo-scientists write an article for publication in a compromised peer-reviewed journal. The political left has infiltrated and taken over most science journals that address political hot topics, much as they have taken over most of the “mainstream” news media. This is especially the case regarding global warming issues. As the leaked Climategate emails revealed, editors of science journals typically are prominent alarmists or deliberately coordinate with prominent alarmists in the selection of articles and messaging (see https://www.theguardian.com/environment/2010/feb/02/hacked-climate-emails-flaws-peer-review). 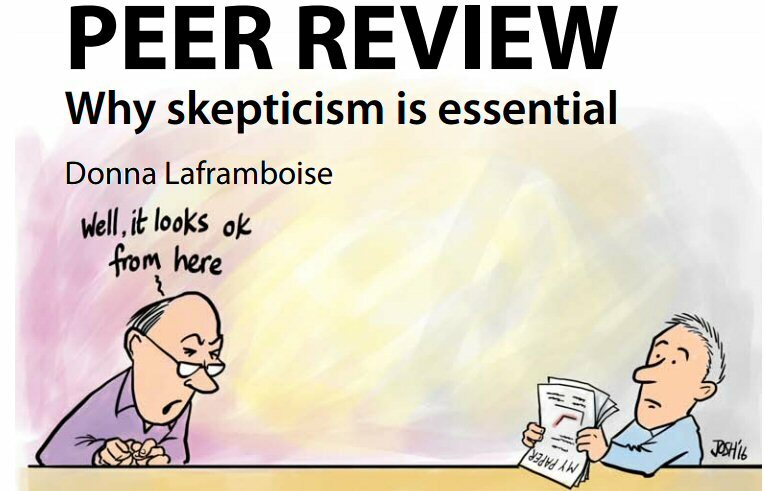 The “peer-review process” typically involves the editor sending a submitted article to a team of reviewers who are outspoken climate activists. After the paper is published, global warming activists and their media allies typically cite the peer-reviewed nature of the paper as evidence that its conclusions are infallible. Any who question the methodology or alarmist conclusions are then labeled science deniers. Got your attention, didn’t it? But they are actually the good guys — two working scientists who, behind the scenes, have had striking success in bringing on retractions by publicly calling out questionable data. Their work was written up in Science Magazine in a freely-available article, here. Once a problematic paper has been identified, it’s seldom straightforward getting it fixed. Nick Brown and James Heathers have had unusual numbers of successes, perhaps because they start out low-key, but don’t hesitate to go public if they get no response. Other would-be whistle-blowers have had less success, as the Science article describes in some detail. One whistle-blower’s efforts attracted legal threats — another scenario WUWT readers will recall, with a few progressing to actual lawsuits. The litigious Dr. Michael Mann comes to mind. NOTE: The author is an advisor to trive.news. He has also made a number of contributions to WUWT over the years including moderating during the Climategate era. We have seen over the past decade plus of the climate wars how the alarmist establishment has exploited its advantage in the halls of power and wealthy influence peddlers in Silicon Valley and the Left Coast to seek to do its best to propagandize, promote, filter, dissimilate, dissemble and to downgrade the search rankings those fighting for truth in science like us at WUWT, JoNova, ClimateAudit, etc. According to Futurism author Lou Del Bello, demanding the data used in climate studies is evil because it leaves climate scientists open to having their work challenged.